WE WILL GIVE YOU A FRESH START! and goals, and help them achieve those goals. We, as the best bankruptcy attorneys in Joliet, listen to our clients and tailor our advice to suit their individual needs. This message may contain confidential/proprietary information of bankruptcy attorneys Joliet. The contents of this e-mail message and any attachments are intended solely for the addressee(s) named in this message. This communication is intended to be and to remain confidential and may be subject to applicable attorney/client and/or work product privileges. If you are not the intended recipient of this message, or if this message has been addressed to you in error, please immediately alert the sender by reply e-mail and then delete this message and its attachments Do not deliver, distribute or copy this message and/or any attachments and if you are not the intended recipient, do not disclose the contents or take any action in reliance upon the information contained in this communication. 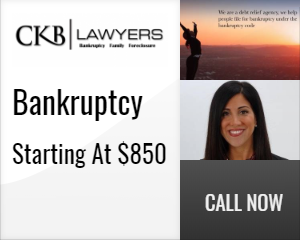 My experience with Christina Banyon as my personal bankruptcy lawyer began in September 2018. I walked into her office fearing the worst possible thing, bankruptcy (in my mind it was the worst thing). I had placed myself in a bad situation financially on a personal and business standpoint and I was out of options. Christina sat down with me, listened to my situation and talked to me very open and honestly, giving me options to my issues. By the end of my consultation meeting with Christina, I could see a light that I could not see prior to walking into her office. Christina explained the entire process of how she could assist me with my personal bankruptcy and then without hesitating told me, “everything was going to be ok”. I needed that kind of support and hand holding through this process. Christina, began working on my case and guided me throughout the next few months. Her communication was excellent as she had to answer many questions that I had for her. My case was pretty challenging and she took the time to help me understand what my expectations should be as we moved closer to my court date. As I discovered, she is very respected and well known in the court room as a top tier bankruptcy lawyer and this showed when she would speak with the trustee. Her knowledge is excellent and she knows how to prepare you. Based on the complexity of my case, it took until February 2019 to be discharged but there was always a constant, which was the professionalism that Christina brings to the table. Post discharge, I am now trying to rebuild my life and I wouldn’t have made it through some of the more challenging moments in my life without Christina being involved. I enjoyed working with her and would recommend her to family and friends. Christina was a very caring, and empathetic person and seemed to have the ethical and professional charisma and fortitude most clients don’t witness. I wasn’t personally her client; however, was physically present to an involved party I deeply care about and can say anyone who hires her will be in awesome hands and should not be troubled or worry about unprofessional or unethical care. She spoke the truth even when it meant sacrificing money that she could have taken from someone in need. “Christina Banyon is amazing at what she does! I was in an unexpected time crunch and she went above and beyond to help me. She reassured me everything was going to be ok and in the end, it was. I am so grateful for your excellent representation during our bankruptcy. You have enabled me to get on with my life. It feels like the weight of the world has finally been lifted from my shoulders and I can breathe again.